Painter, theatrical designer, graphic artist, book designer, teacher. Attended Ivan Kopylov’s studio of drawing and painting in Irkutsk (1912–1913); studied at private studios in Paris (1913–1914); State Free Art Studios in Petrograd (from March 1918 at the Architecture Department, from September 1918 in Kuzma Petrov-Vodkin’s personal workshop). Contributed to exhibitions (from 1920). Taught at Benita Essen’s studio (1923); Northern Faculty, Avel Yenukidze Oriental Institute (1926–1928). From 1930 worked as an artistic director of the State Academic Bolshoi Theatre (Moscow); designed for Soviet theatres (1932– 1934). On 10 January 1935 was arrested in Lenin – grad, convicted of the “Kirov case”; served sentence in Dolinka, Kazakhstan. At the beginning of 1937 freed on parole. Collaborated with the Red Torch Theatre in Novosibirsk. On 3 December 1937 was arrested again on the charge of “implication in an anti-revolutionary rebel cadet and monarchy organisation” (Article 58), shot on 9 December 1937. Rehabilitated in 1957. From the remembrances of Alisa Poret: “I studied in the Academy of Arts under Petrov-Vodkin. Chupyanov, Benita Essen, Lappo-Danilevsky, and Pyotr Sokolov were all in my last-year studio. Vodkin said of Sokolov that ‘If I had one-tenth of his talent I would be at peace knowing that I could do something. Come, I’ll show you his studio.’ We climbed the cast-iron staircase to the upper floor. In the huge studio in front of a large brush stood a tall man with a negroid-type face. 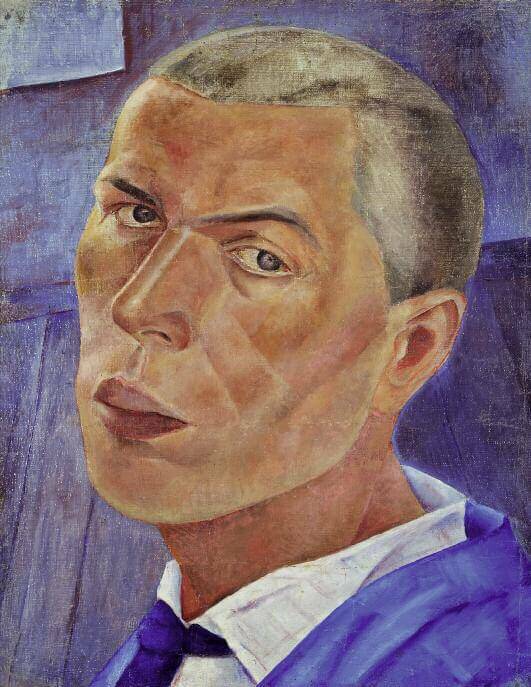 Petrov-Vodkin introduced us and asked Sokolov to invite me when he was going to do outdoor scenes. ‘He’ll teach you better than I can,’ he said, leaving.” (“Alisa Poret rasskazyvaet i risuet: iz alboma khudozhnika”. Published by Vladimir Glotser. “Panorama isskustv”. Issue 12. Sovetsky khudozhnik, Moscow, 1989, p. 405).